Ready to drive your sales through the roof? Make your BigCommerce store multilingual! 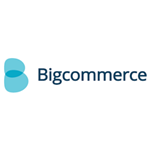 Using BigCommerce to build your online store will help grow your business to new levels and reach a bigger audience than ever before. Some of your new audience won't speak your language and this is where having a multilingual BigCommerce store can turn leads into sales. Integrating Localizer with BigCommerce takes just one line of code and can serve your online store in multiple languages almost instantly. How can Localizer make BigCommerce multilingual?